Getting there early or when the event starts ensure that you have the best selection out of all. The stock has not been messed up yet thus it is easier to find something you want or a size that you need. If you go on the last day, you may get better last-minute deals from the retailer to clear the last stocks, however, the selection will be much lesser of course. There may not be fitting areas at some warehouse sales, or there may be long queues at the fitting rooms thus you may need to try on the clothing there and then. You can better gauge the correct size if you are wearing something light and body-fitting underneath. Also bring just a small bag with you so that you can hold many items on your arms at one time! For the popular sales, there may be long queues at the cashiers. A friend can help you queue while you shop and vice versa. A good friend's opinion will be important to prevent you from buying something that is not suitable for you just because it is such a bargain! Just in case they do not take credit cards and also to stay within your budget. The sales are so great that you may be tempted to buy more than what you need or want. Stop this by having a clear shopping list in mind. 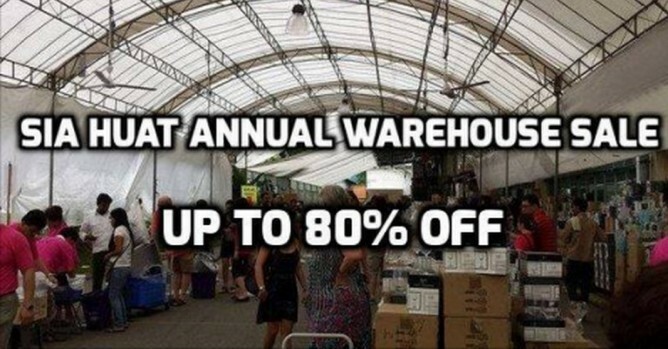 With all these tips, you will be a seasoned warehouse sale shopper in no time. BQ lists the top regular warehouse sales in Singapore for you by categories so that you will not miss the next one! 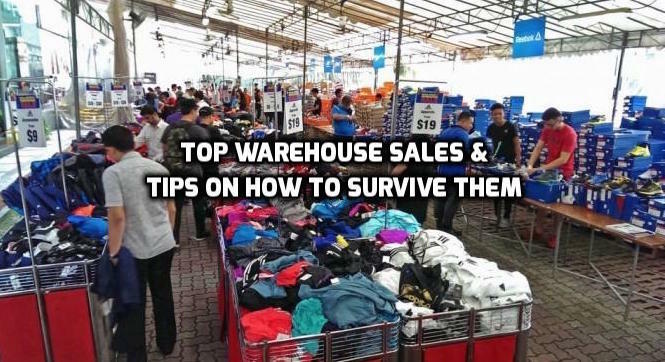 Bear in mind that, these warehouse sales are held in a regular time interval (annually, bi-annually or quarterly), by keeping track of these past warehouse sale, you should roughly be able to guess when they are coming back again, we Singaporeans always Kiasu and plan ahead one muh! 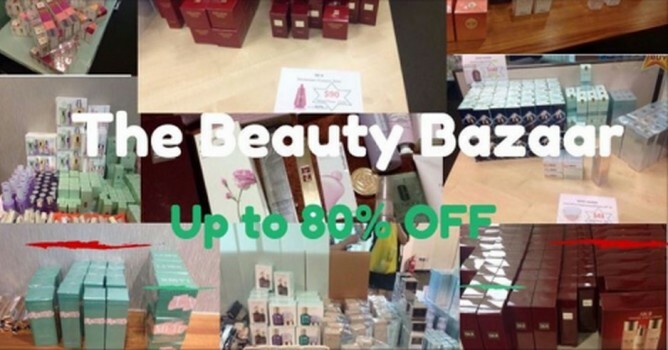 This warehouse sale happens up to twice a year and you can get up to 80% off beauty products and fragrances from major brands like SKII, Clarins and Calvin Klein. Checking the expiry dates of the products is key here as they are clearing stocks that may be expiring soon. You can check them by entering the batch codes here. Check out their last sale here. 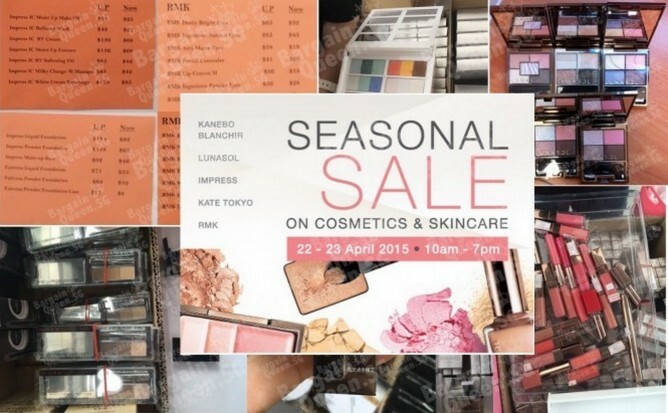 If we are to vote the most anticipated cosmetic warehouse sale event in Singapore, the Kanebo sale will definitely make it to the list. 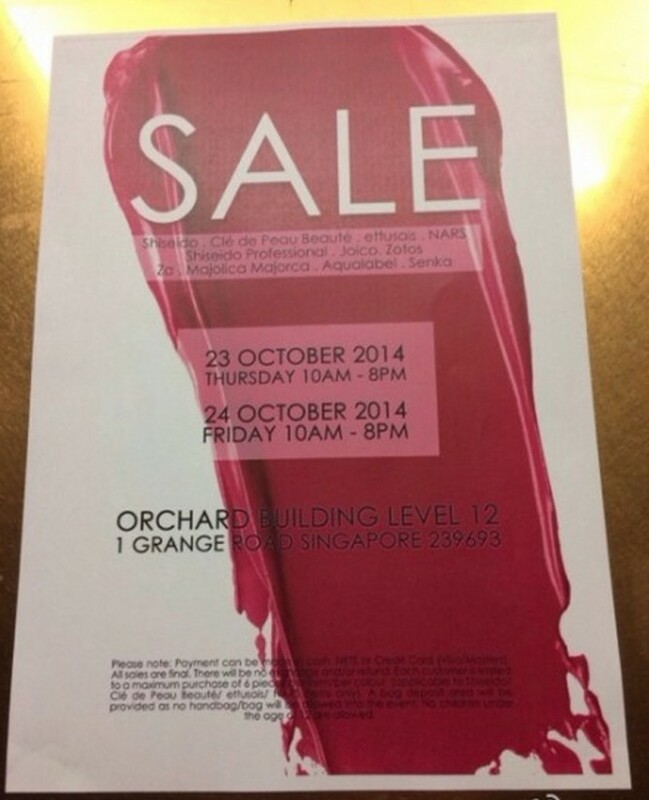 This bi-annual warehouse sale features from the company’s most prestigious brands including Lunasol, Blanchir Superior, Impress, RMK, to its drugstore bestseller Kate Cosmetics, ranging from eyeshadows palette, foundation, powder, lipstick, lip gloss, mascara, bb cream, concealer, to serum, toner lotion, moisturiser, cleanser, mask etc. Expect long queues before its door opens! 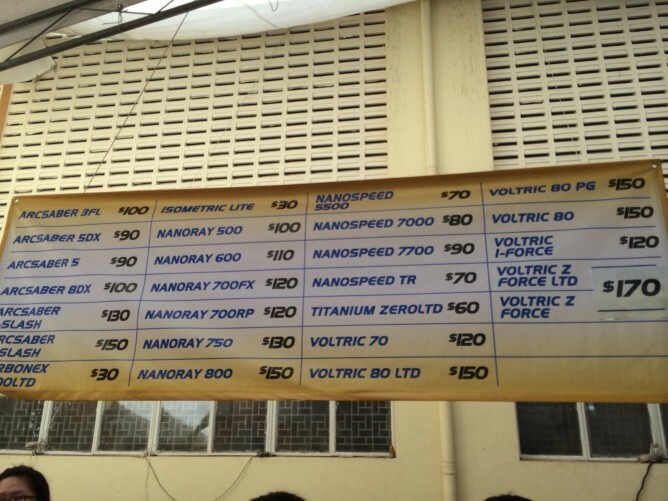 Check out the past promotions at the last sale here. This sale is always much anticipated with participating brands like Shiseido, cle de peau, ettusais, NARS, Shiseido Professional, Joico, Za, Majolica Majorca, Aqualabel, Senka and more. Check out their last sale here. 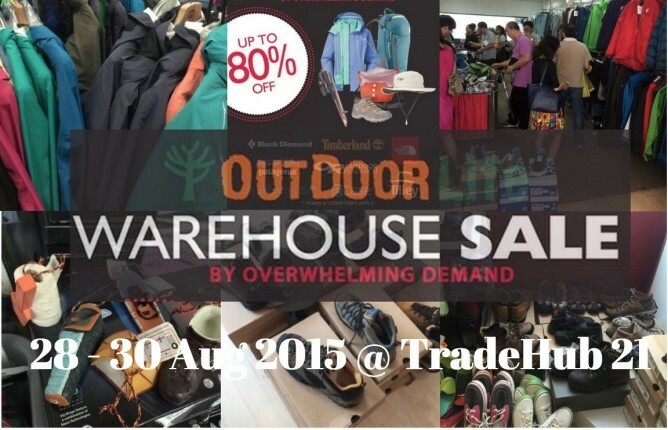 If you love camping, hiking and the rugged outdoors look, head down to this twice-a-year warehouse sale where you can enjoy up to 80% off for packs, accessories and footwear for men, women and kids from North Face, Timberland, Black Diamond, Outdoor Research, Patagonia, Five Fingers, Julbo and many other popular brands. Check out their last sale here. 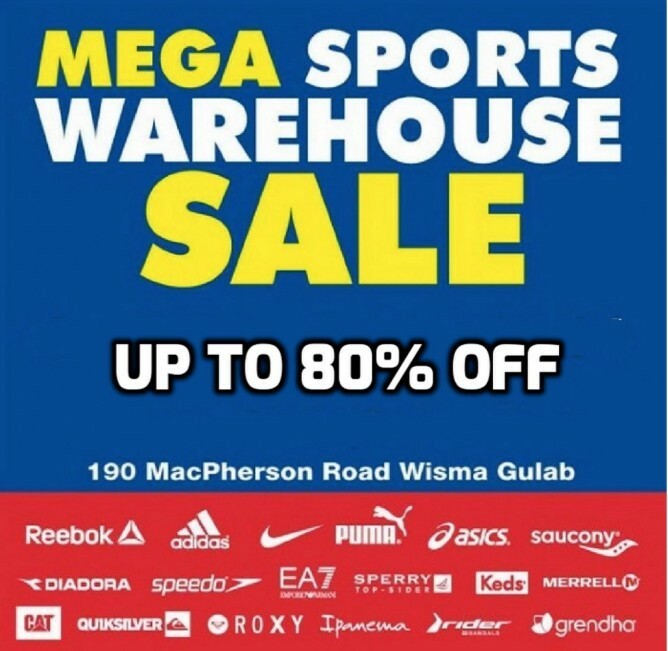 Get up to 80% off sports brands such as Adidas, Nike and Reebok. Check out their last sale here. If you are a badminton, tennis or golf enthusiast, you have to visit this warehouse sale happening up to twice a year. Based on our past year experience, the 3-day sale usually features a great range of Yonex Apparels, Badminton & Tennis racquets, bags, footwear and more at discount up to 80% off. Check out their last sale here. The Sia Huat Annual Warehouse Sale is very popular and has an extensive range of foodservice products and equipment at up to 80% off. Check out their last sale here. 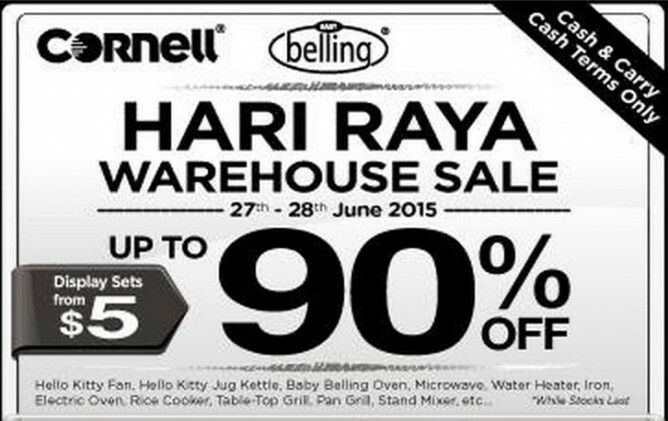 Get up to 90% off kitchenware from Cornell at this twice-a-year warehouse sale. Check out their last sale here. 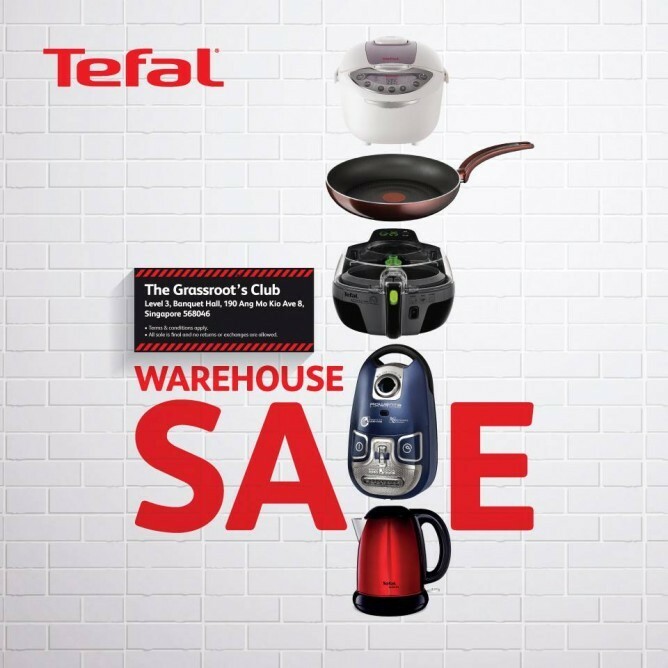 Get up to 70% off Tefal kitchen appliances at this warehouse sale. Check out their last sale here. Timberland is American manufacturer and retailer of outdoors wear with a focus on footwear. Its footwear is marketed towards people intending outdoor and casual use. Besides footwear, Timberland's clothes, watches, glasses and leather goods are also very popular in the market because of its quality and brand awareness. 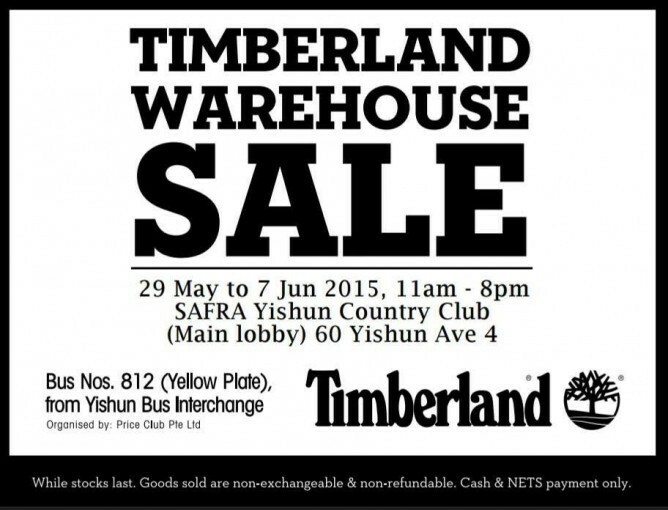 If you are looking for a great bargain for Timberland products, don't miss this warehouse that happens 2 to 3 times a year. 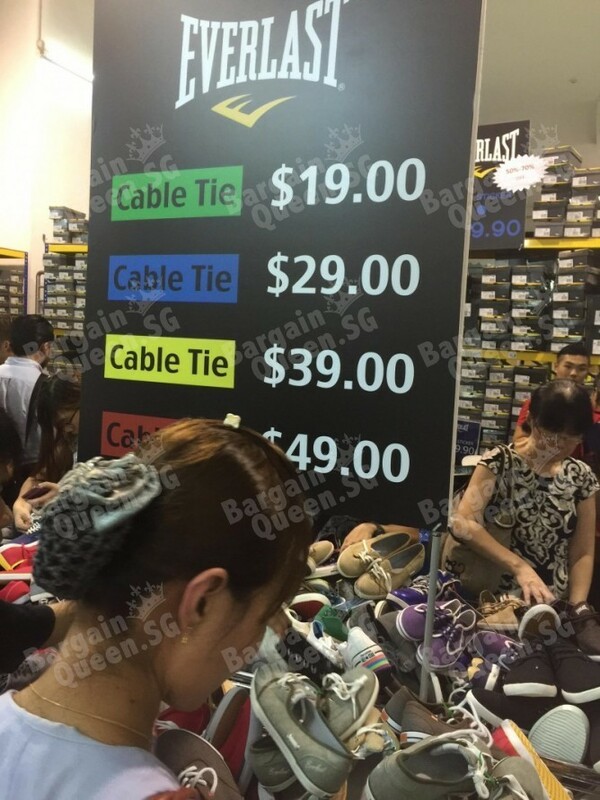 It is reported by BargainQueen readers that there are more men's selections than women's at the previous sale with prices around $40 for clothes and $70 for footwear. Clarks shoes are all about comfort, but not lack of design and style, therefore, the brand is never short of supporters, especially in Singapore. 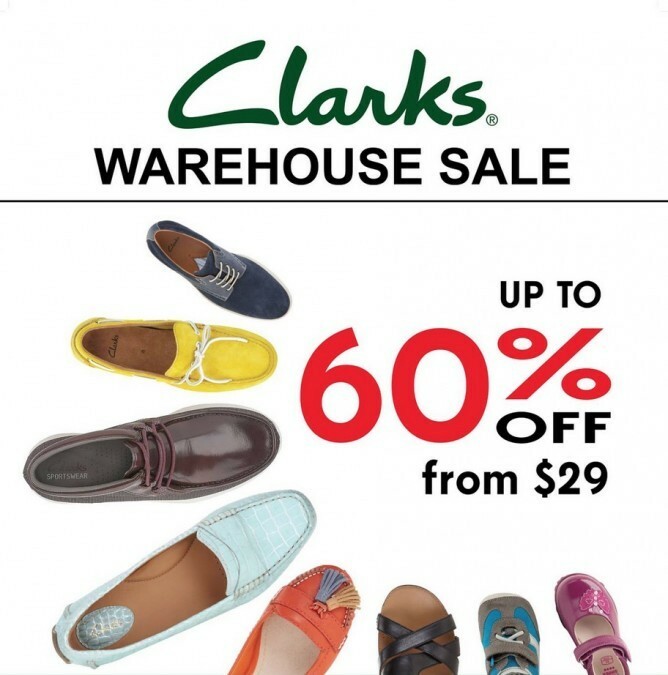 The usual price range for a Clarks shoes/boots in Singapore is at around S$80 to S$180, if you think the range is out of your budget, and you really want to own a pair of it, head for the warehouse sale with up to 60% OFF original prices. Check out the last sale here. 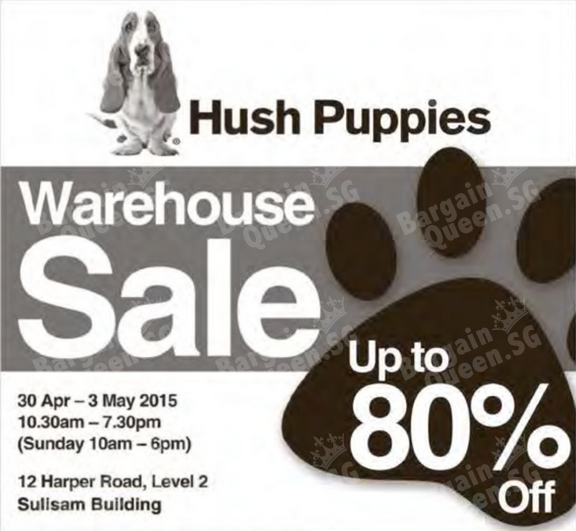 Get up to 80% OFF Hush Puppies footwear, bags, and bed & bath items at this warehouse sale. Check out the last one here. Fresh, contemporary, classic are the key words that come to mind when one looks at Lacoste and its quality apparel, footwear and accessories. 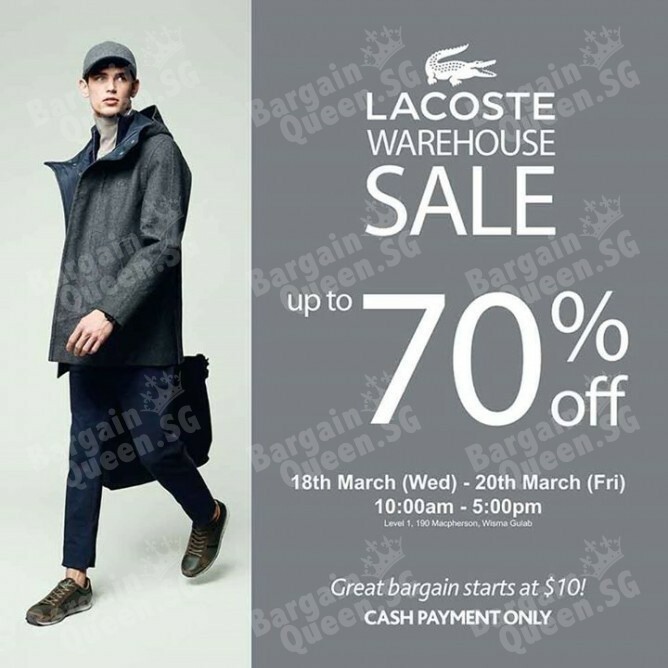 Get up to 75% off Lacoste items at their warehouse sale by Royal Sporting House. Check out the last sale here. FitFlop is known for comfy yet stylish footwear for ladies. 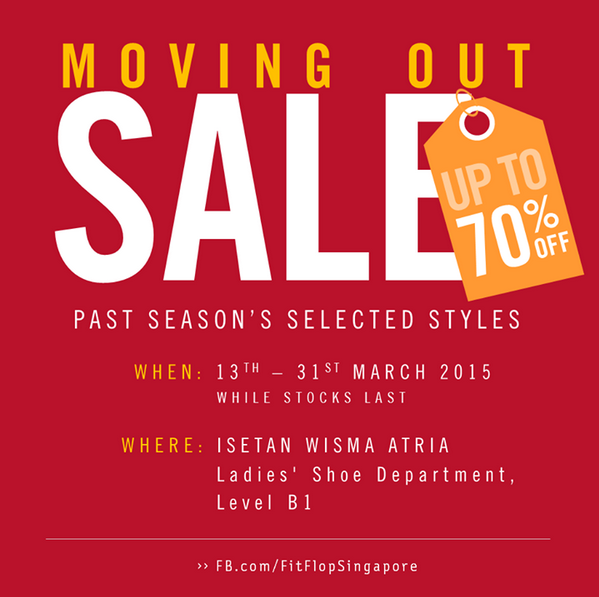 Spirit Sports is the distributor for FitFlop shoes in Singapore and they hold a warehouse sale once in a while for FitFlop shoes. The sale is only strictly by appointment only, meaning you have to register your preferred day and time to this email address [email protected] Cash Sales Only. Check out the last sale here. Converse fans will love this much anticipated warehouse sale from the popular canvas shoe company. Be sure to head down early to find all your favourite styles at clearance prices. And as usual at this annual affair, sizes and stocks are on first-come-first-serve basis. Check out the last sale here. 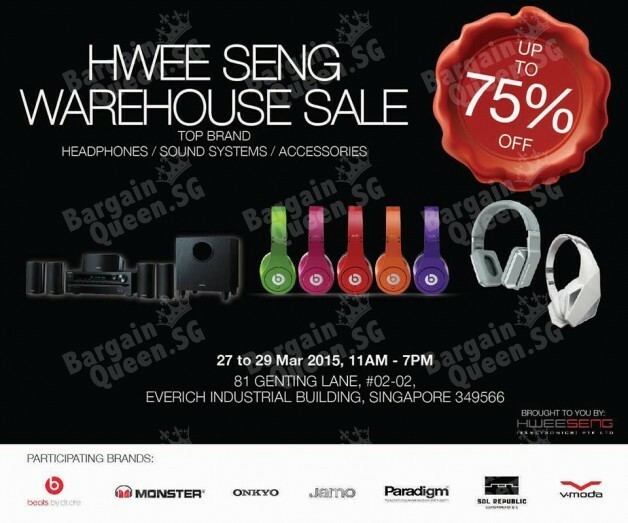 Discounts as much as 75% from big brand names such as Beats by Dr. Dre, Onkyo, VMODA, Monster, SOL REPUBLIC and more. Audio products on sale include AV receivers, headphones, docking systems and speakers. Check out the previous sale here. The sale features Display sets clearance going at up to 60% off and 70% off products. Check out the last sale here. 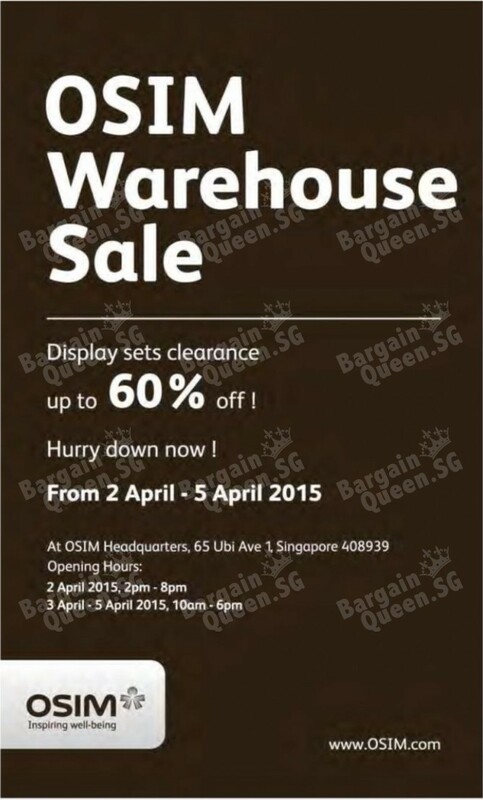 Remember to stay updated at BQ.sg for the latest promotions and warehouse sales! Like our facebook fan page if you find this useful!